No visit to Colorado’s Western Slope would be complete without a trip to its biggest attraction: Grand Mesa. This distinctive formation, with its flat top and steep cliff sides, covers hundreds of square miles. It’s the largest flat-topped mountain in the world—and, consequently, is chock-full of things to do all year long. 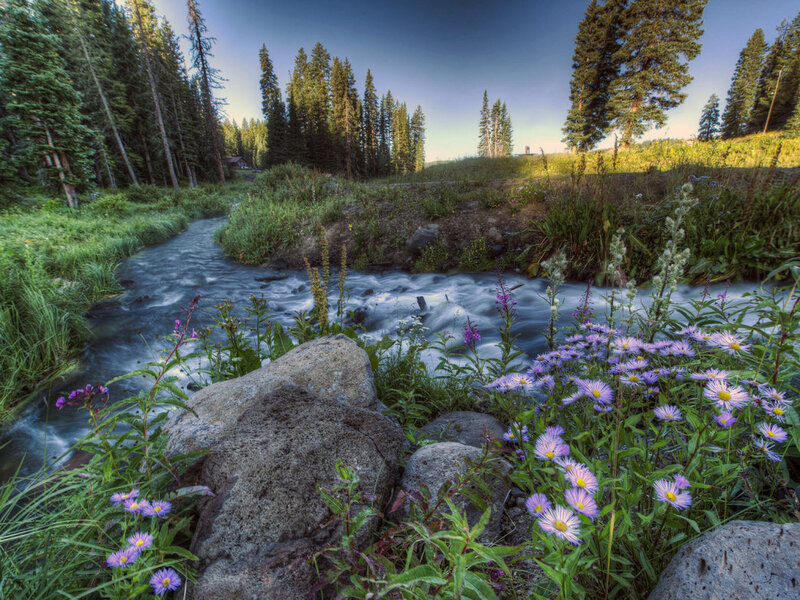 Grand Mesa boasts more than 300 stream-fed alpine lakes at elevations over 11,000 feet, not to mention enough wildlife to keep anglers, photographers, and hikers alike entertained for days. Grand Mesa’s history stretches back millions of years. Mesas—Spanish for "table" and named by the early Spanish explorers of the region—are created by erosion and are usually formed in dry climates, where layers of rock are stacked horizontally. Like most other mesas, Grand Mesa is wider than it is tall. The formation’s top layer is hard basalt and was formed about 10 million years ago, and it rests on layers of shale and sandstone. The softer layers were eroded over millions of years by the Colorado and Gunnison Rivers. Constant water flow ate away at the shale and sandstone layers, causing Grand Mesa to rise dramatically above the surrounding topography. Today, it looms some 6,000 feet over the Grand Valley and the town of Grand Junction. The Fremont people hunted and farmed the region’s fertile soil between roughly 200 and 1300 A.D., leaving behind petroglyphs and pictographs. 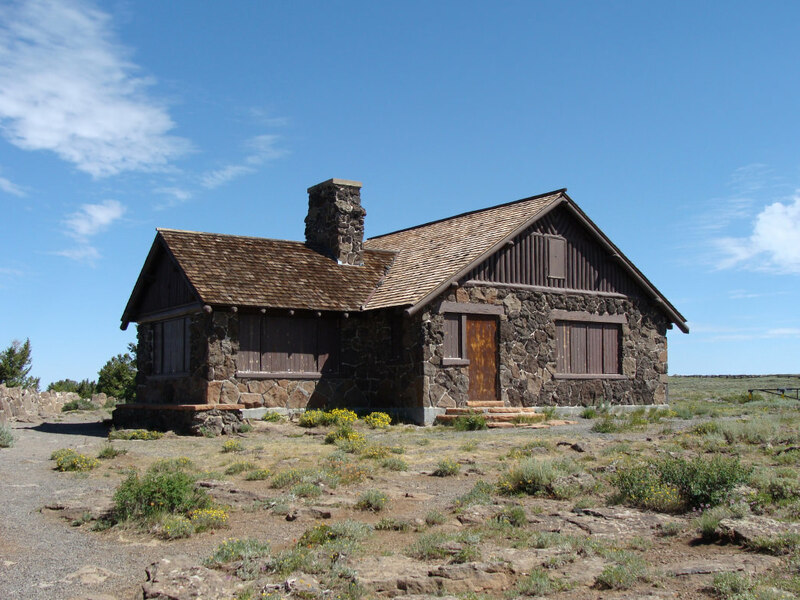 Pioneers like Kit Carson and John C. Fremont traveled in the Grand Valley in the mid-19th century, but the area around Grand Mesa is so rugged that it was among the last places in the Lower 48 states to be settled by American frontiersmen. Today, there are tons of ways to enjoy Grand Mesa in all seasons. Start your visit with a trip to the Grand Mesa Visitor Center, where you’ll find information about the Grand Mesa National Forest. Here, you can purchase maps and check in with USFS rangers. The visitor center is off State Highway 65, and is open from 9:00 am to 5:00 pm daily between Memorial Day and the last Sunday in September. The 63-mile Mesa Scenic Byway climbs from I-70 up and across the 11,000-foot plateau to Cedaredge. Along the way, it’s well worth a side trip down Land’s End Road (half-paved, half-gravel, and only open in the summer) to the Land’s End Observatory. From here, head out to the aptly named Land’s End Overlook, which sits on the mesa’s rim and offers stunning views of the national forest of the same name as well as the Grand Valley. Keep an eye out for porcupines, coyotes, red fox, and maybe even a moose. For a classic Grand Mesa adventure, check out the Crag Crest Trail, a 10.3-mile loop and designated National Recreation Trail. Crag Crest runs along the mesa’s gigantic spine, with views of up to 100 miles on a clear day. You can access the trail from one of two trailheads—near Scenic Byway mile marker 27 on the west side or at the Crag Crest Campground to the east. There’s also a short spur trail that connects Crag Crest with the visitor center, plus Ward Lake and Cobbett Lake Campgrounds. Mountain bikes are allowed on the 3.4-mile lower section of the trail (the 6.5-mile upper section is only for hikers and equestrians). Leave from the westernmost trailhead for rewarding vistas almost immediately. For most of the summer, you’ll find meadows filled with wildflowers here, plus views of the mesa’s distinctive rooster comb cliff bands. Farther along, near Crag Crest’s 11,189-foot high point, take in views to the south of the San Miguel, La Plata, and San Juan Mountains, plus the West Elk Mountains to the east. To the north, you’ll see the distinctive Bookcliffs and Roan Plateau, and, far in the distance, Utah’s La Sal Range. From here, the trail descends back to the mesa’s many trout-filled lakes. Fatbikes are allowed only on roads and some snowmobile routes, but not on the cross-country trails, which are groomed for both skate and classic skiing. 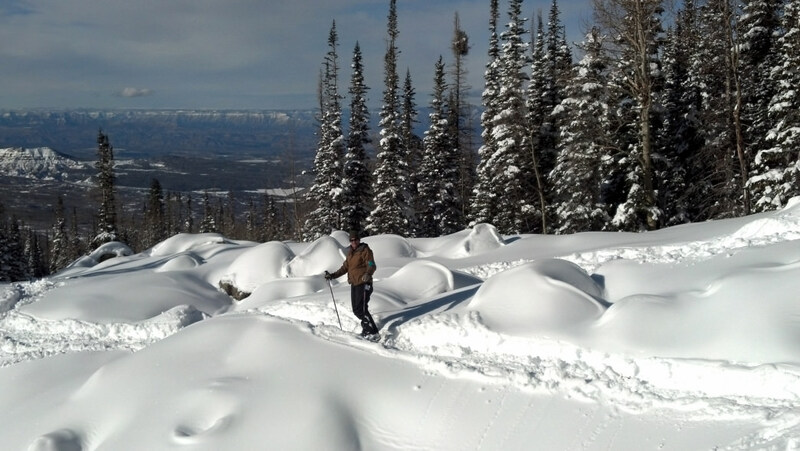 For downhill skiers, there is also the small, authentic-feeling Powderhorn Mountain Resort at the northern edge of Grand Mesa, which has five lifts and plenty of beginner, intermediate, and advanced terrain. Cobbett Lake Campground is the only campground on Grand Mesa where you can make reservations in advance (call 877-444-6777 for more information). All the other area campgrounds are first-come, first-served. 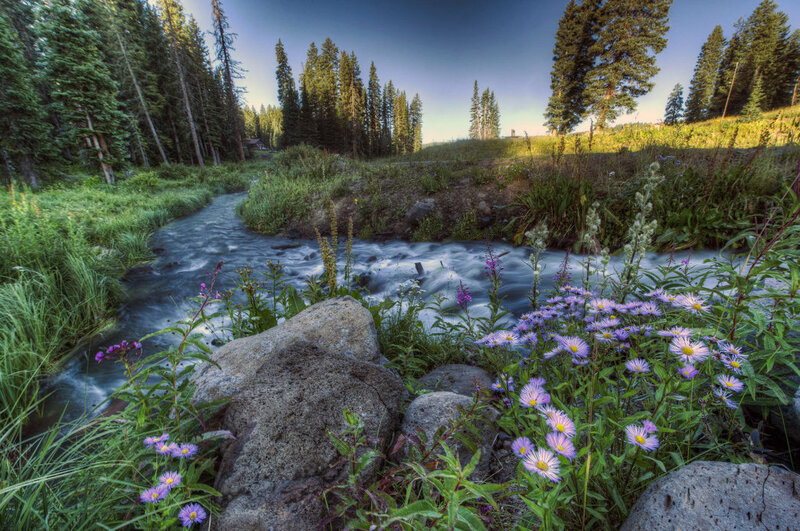 In the summer, Grand Mesa stays cool even when temperatures are reaching the triple digits down in the valley. It’s at high elevation, so you’ll still need to bring plenty of water and sunscreen, but it’s often as up to 20 degrees cooler than the towns below. Get an early start (especially in the summer) to avoid the typical Colorado afternoon thunderstorms. Check the forecast and make sure that you’re not on exposed sections, especially high on the Crag Crest Trail, late in the day. The last Saturday in July is Grand Mesa Moose Day. This festival, in appreciation of the local fauna, often draws more than 1,000 visitors. The end of September also means Color Sunday, which includes activities at stops all along the byway. If you’re interested in being part of the festivities, it’s a fun time. Otherwise, plan to visit another weekend to avoid the crowds. Originally written for Grand Junction Visitor & Convention Bureau.